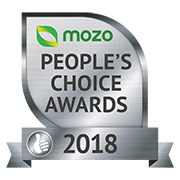 Read the latest energy reviews from the Mozo community. Whether you’re moving house or just wanting to switch energy providers, you can get the inside story on everything from pricing, customer service to renewables from customers like you right here on Mozo. Deliveries are great and on time. Servicemen prompt and polite. Their customer service/call centre is great. Little to no wait and the staff are extremely helpful. Very good provider overall.